The California Board of Equalization and California Franchise Tax Board are a bunch of rats clamoring over a cadaver with very little meat left on it’s bones. If you ever make an offer to compromise a debt, never have the money in an account with your name on it. Your attorney’s trust account might be a good place. DISCLAIMER: Nothing in this article OR WEBSITE may be mistaken as legal advice. Attorney David Nelson, is licensed only in California, and this article is intended only for readers in California. This article is for entertainment, educational, extra-curricular, and medical purposes only. If you decide to rely on this, heaven help you. Remember also that I’m not a tax attorney, I’m a bankruptcy attorney in Murrieta near Temecula CA. Yes, you can discharge taxes in bankruptcy. No, not all of them but some of them. I hate to mention this part, when it comes to credit cards, medical bills and collection agencies, I only want one statement so that I have the addresses, account numbers and balances. But with the IRS, Franchise Tax Board and Board of Equalization, I want you to bring every letter with you that they ever sent you. In those letters are the answers to many of the questions and rules we will go over below. California sales taxes are calculated against gross receipts and therefore discharge in bankruptcy under ALMOST the same rules. For the specifics of the noticing requirements which you must give the California Board of Equalization in an article written Mark Sharf regarding the Ilko case, Ilko v. California Board of Equalization, click HERE. There are several rules involved. What’s worse is that the rules all involve the timing of the bankruptcy. Often you’re in my office because of a lawsuit or a wage garnishment, or your bank account has recently been levied and you want to file immediately in order to stop the bank or your employer from sending your money to the Sheriff’s Office. Problem is this, if you owe a bunch of money to the IRS and have to wait to file your bankruptcy in order to get rid of the tax, you’re going to have to decide whether the amount of tax to be discharged is more or less important than the amount of money the Sheriff is about to take away from you. Notice that I said more important not bigger. The tax year must be over. Kind of a “No Duh” moment. The tax return (if required) must have been filed. This is also sort of a “No Duh” moment. Prior to 2005 you used to be able to discharge the tax even you hadn’t filed your return if you chose to file a chapter 13 bankruptcy instead of a 7. Many great things about the bankruptcy code were eviscerated in 2005 when republicans and democrats who had taken hundreds of millions of dollars in lobby money over the course a decade finally gave us bankruptcy reform. Conveniently this happened right at the start of the economic downturn. Literally, the housing market went flat one month before the bankruptcy reforms went into effect. Hmm, I wonder how the banks knew it was finally time to get the bankruptcy reforms passed? Bottom line is, if you owe federal or state income taxes in California and you haven’t filed your returns, your bankruptcy is not going to help you get out of paying your taxes. So file your tax returns, make sure you get proof that they received them, and call back in two years. But what if you were audited, and at the end of the audit, you signed the audit, that is not a substitute for your filing of your return? What if you didn’t file a return and the IRS files one for you? When it comes to filing returns, YOU must be the one who files it, not the IRS, or other taxing authority. If you cannot remember if you filed the returns, contact the IRS and get an IRS Transcript for the tax year or years in question. You can download the Transcript request from the IRS website. If it turns out that you didn’t file your return, then you will have to decide if you want to file your tax return now and then wait for just over two years to file your case, can you handle the other wage garnishments, bank account levies and lawsuits that will take place during that time. You will have to weigh the amount of tax you can get rid of compared to the amount of wages that will be garnished and what will happen to your bank accounts and having to go to court for judgment debtor exams, and if you don’t go to the judgment debtor exam, the court will issue a bench warrant for your arrest and on and on. DISCLAIMER: Make sure that you speak with an attorney now and get this advice from an attorney as bona fide legal advice before you make your decision. This article is not your legal advice. The tax return’s due date must have been more than 3 years prior to the filing date of your bankruptcy petition. Notice it says “Return’s Due Date”. Commonly called the 3 year rule, this is where most people stumble and file their bankruptcy petition too early. Tax Returns are due in April! On top of that, if you got an extension to August, then they were due to be filed in August. What if you extended to October? If you cannot remember if you extended, contact the IRS and get an IRS Transcript for the tax year or years in question. You can download the Transcript request from the IRS website. Alternatively if there is nothing else pressuring you to file you could just wait until October 20th to file. I assume you can get a tax transcript from the Franchise Tax Board or Board of Equalization if you need one. A little while ago, the IRS decided that all extensions were automatically extended to October 15th, I don’t remember which year that started, but from now on, if you think you filed your extension to August, then you must file your bankruptcy in November 3 years later. If you filed your tax returns late, your returns had to have been filed with the IRS or other taxing agency at least 2 years prior to filing your case. This is true whether you owe income taxes to the IRS or the State of California or whatever state you owe taxes too. Assuming you have beaten the 3 year rule, and the late filing rule, you still have to have beat this one. The tax must be assessed at least 240 days prior to filing your bankruptcy petition. That’s about 9 months. Assessed means that they have decided you owe, how much and told you so. In California, you get a letter that says: Notice of tax due. It won’t say “assessment” and probably won’t say “assessed” either. California’s notice of tax due is a weird animal, it does not become effective until 60 days after they send it. So, in California, it’s a 300 day rule from the first letter. Our Franchise Tax Board will send a 2nd letter stating that the notice is “final” and from there your 240 days starts. At this point people often ask the IRS, Franchise Tax Board or Board of Equalization if they will take less, give them a break. Called an offer to compromise, if you’re going to file a bankruptcy, DON’T DO IT. An offer to compromise delays the 240 day rule. Sort of like the extensions on filing your tax returns under the 3 year rule. You have to add 60 days to the time that your offer is pending plus the time that your offer is pending to the 240 days. That can extend your 240 days automatically by 60 days even if you withdraw the offer to compromise the tax debt on the same day as you make the offer. If you filed a bankruptcy previously during the 240 day period and it was dismissed and now you have to refile, you must add the amount of time your bankruptcy was pending to the 240 days plus another 90 days. So, even if your previous bankruptcy was dismissed after a month you must add 4 months to the 9 months. That’s an overdue baby. A client, and no kidding his real name was Groucho Marx, (the names were changed to protect the innocent) owed $50,000 to the Board of Equalization, and $250,000 to the IRS. And no kidding, his rich uncle, (it wasn’t his uncle) died and left him some money, 15% of the total taxes owing. After calling the IRS and talking them into taking a 15% pay off, the IRS put a condition on the deal, he had to get the State of California’s Board of Equalization to take the same deal. Stupid condition but that’s what they told him. So, he calls the BOE and says hey they’ll take 15% if you do, what do you say? Unfortunately, they said, “we’ll get back to you.” A week later they answered by taking all of his money out of his bank account. Even if since Bush the IRS is kinder and gentler, the Board of Equalization and Franchise Tax Board in California are a bunch of rats clamoring over a cadaver with very little meat left on it’s bones. ~David L. Nelson and yes, I just quoted myself. If you ever make an offer to compromise a debt, never have the money in an account with your name on it. Never have it in your wife’s account. Never have it in your S Corp’s or your LLC’s name. In fact, you might want to have it in a hole in your back yard before you make the call. I had another client who back in 2006 owed every year from 1995 to 2000. Turned out he had filed every year except 1996 which the IRS had filed for him. He was dead certain that he had filed it and was totally surprised when it wasn’t he that had done the filing. Fortunately for him there is a 10 year statute of limitations on the collection of federal income taxes. In his case, because he had been sued, the creditor had a big judgment against him and his wife and was about to garnish both their wages he could not file his return himself and wait out that two years. The amount that would have been garnished would have been greater than the amount of tax he would have discharged by waiting. If you cannot remember if you filed or extended, contact the IRS and get an IRS Transcript for the tax year or years in question. You can download the Transcript request from the IRS website. The rules are nearly the same but you get to put the taxes you owe into a payment plan. Plan details can be tricky but you no longer get the good benefits such as discharging taxes without filing the returns and so on like you did before the law change. 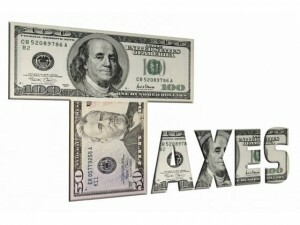 Many of you have asked about Tax Liens. Yes, there is a 10 year statute of limitations on the collection of the tax. Tax Liens are only one method of collection. The question of how long is the tax lien enforceable once recorded is a different question which we will get to in a moment. Have a look at Internal Revenue Code IRC 26 USC 2605. (B) there is a release of levy under section 6343 after such 10-year period, prior to the expiration of any period for collection agreed upon in writing by the Secretary and the taxpayer before such release. So, the date the statute of limitation starts the assessment date and it runs for 10 years from the assessment. Is that true in every case? Of course not. There a few notable exceptions, all of which only add to the 10 years, none of them subtract from it. The one that matters the most on my page is the bankruptcy extension of the 10 year period. Extensions of statutes of limitations are calling “tolling” of the statute of limitations. It just means that you did something that made it impossible for the IRS to collect for a certain amount of time therefore you have that amount of time added to the total amount of time that they get to collect. The Statute of limitations is extended. Filing bankruptcy extends that statute of limitations for the amount of time you are in bankruptcy plus six (6) months. If your chapter 7 bankruptcy lasts 4 months and plus 6 more then they get to collect against you for 11 years for any pre-bankruptcy non-discharged taxes. Also their chapter 7 case lasted until early 1998 when they got the chapter 7 discharge. So, from Sept of 94 to March 1998 they were in a bankruptcy. That gave the IRS an additional 3 1/2 years to collect. In other words the 10 year statute of limitations grew or expanded to a 13 1/2 year statute of limitations. That’s what tolling does. Internal Revenue Code Section 6321 states that the lien is created when the tax is assessed, the IRS has sent you a notice and you don’t pay it. If the lien is created when you don’t pay or it’s inception is at assessment is at present an unresolved issue. In most cases, it’s probably a non-issue because they’re coming to get you either way. Circle the Wagons! 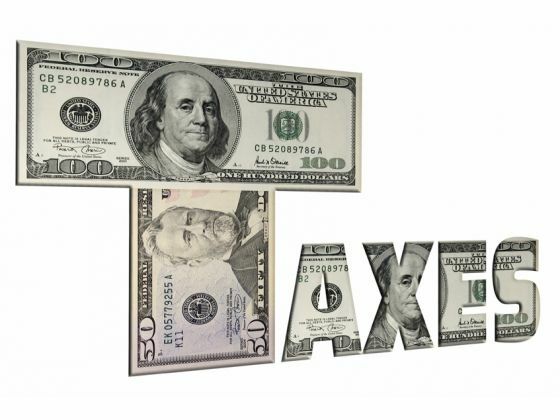 Here’s an excellent discussion of Tax Liens by Attorney Tony Mankus. Disclaimer: Nothing in this article may be mistaken as legal advice. Attorney David Nelson, is licensed only in California, and this article is intended only for readers in California. This article is for entertainment, educational, extra-curricular, and medical purposes only. If you decide to rely on this, heaven help you. This entry was posted in Income Taxes, Sales Taxes and tagged attorney david nelson, attorney tony mankus, bankruptcy attorney david nelson, bankruptcy discharge taxes, bankruptcy income taxes, bankruptcy tax 3 year rule, bankruptcy tax lien, federal income taxes bankruptcy, federal income taxes statute of limitations, murrieta bankruptcy attorney, murrieta bankruptcy tax lien, murrieta bankruptcy taxes, murrieta bankuptcy, sales taxes bankruptcy, state board of equalization bankruptcy, state income taxes bankruptcy, tax lien bankruptcy, tax lien murrieta bankruptcy, tax lien temecula bankruptcy, temecula bankruptcy, temecula bankruptcy attorney, temecula bankruptcy tax lien, temecula bankruptcy taxes. Bookmark the permalink.